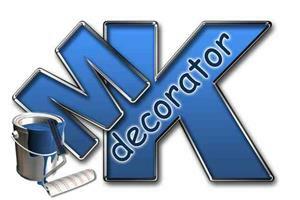 M K Decorator - Painter/Decorator based in Croydon, Greater London. At MK Decorator we provide a wide range of professional and fully tailor-made decorating services in London and Surrey. We specialise in paint spraying and have very sophisticated equipment to deliver you a very special finish both inside and outside of the home. We offer the full decorating and painting experience including interior design for your domestic and commercial projects. We are available 7 days a week and outside office hours. We offer bathroom and kitchen Installations services across London and Surrey. With over 12 years of industry experience and a team of skilled traders, we are the number one choice for homes and commercial premises alike. No job is too big, from small domestic installations to big commercial projects. I offer a reliable, professional and friendly service from start to finish. For a free, fixed price quotation please contact us via telephone or e-mail.